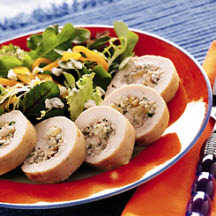 CooksRecipes has quality, kitchen-tested recipes for stuffed chicken breast dishes that you can count on for successful deliciousness. This dish is impressive enough to serve dinner guests, yet easy enough to serve for a family weeknight meal. 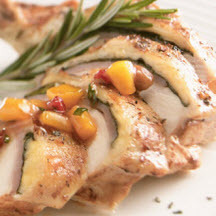 An elegant entrée perfect for a special occasion. 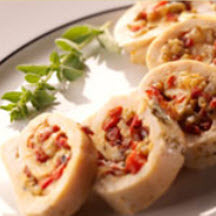 Breaded and sautéed chicken rolls filled with a creamy walnut and blue cheese stuffing.